The Rotary Clubs of Great Neck, Gold Coast, Manhasset and Roslyn are partnering with The Outreach Program to package 10,000 meals to send to food banks in Nassau County. Funds are needed to pay for the product and shipping expenses. We are raising money and recruiting volunteers to help package the meals. This event is the perfect venue to bring family and friends to join in an unforgettable experience. An Outreach Program event is a festive, hands-on opportunity to roll up your sleeves and feed the hungry. The meals are packaged, sealed, and distributed to the food insecure locally and internationally. Participants are deeply changed by spending just a few hours to help feed hungry and food insecure people. 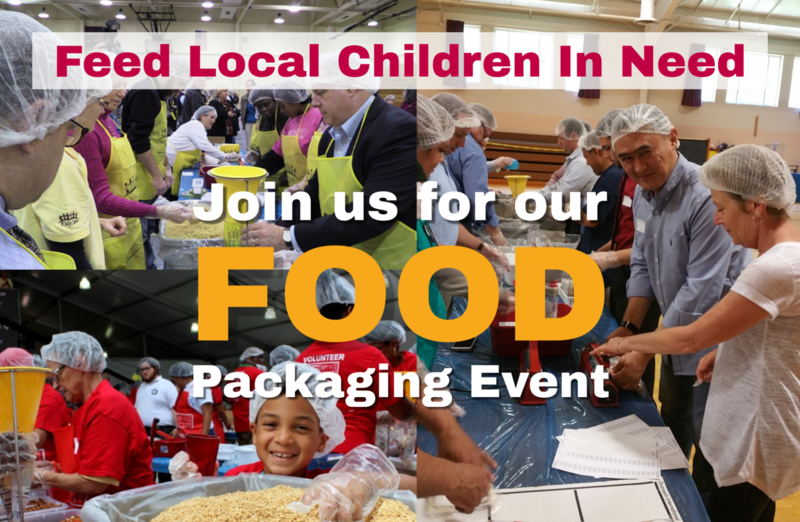 A donation of $40 per volunteer helps cover the food and packaging material costs. Want to help but can't join us on June 23rd? No problem! You're welcome to donate any amount you can, and just write us a note on the PayPal checkout page indicating you will not be attending. Every dollar helps! 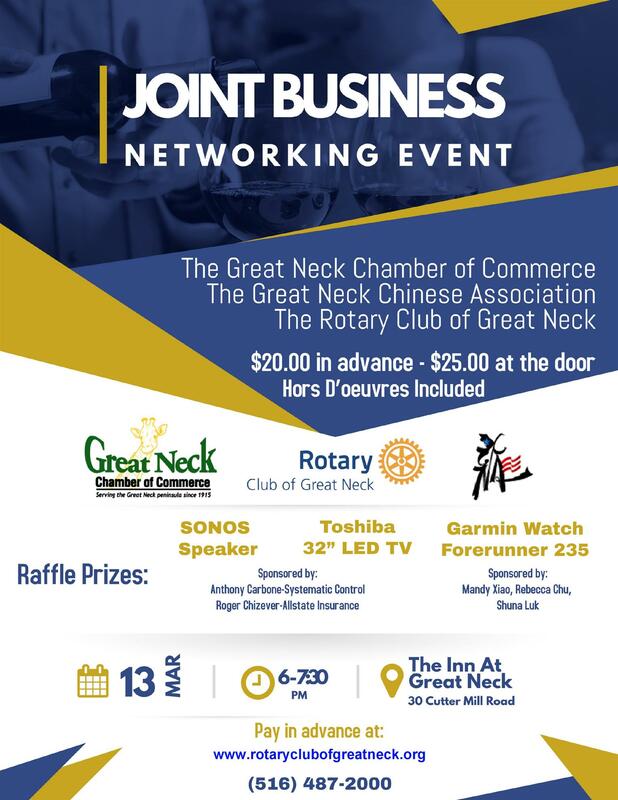 This February 13th members of the the Rotary Club of Great Neck gathered for good food and engaging conversations at Señor Nacho, 31 S Middle Neck Rd, Great Neck. 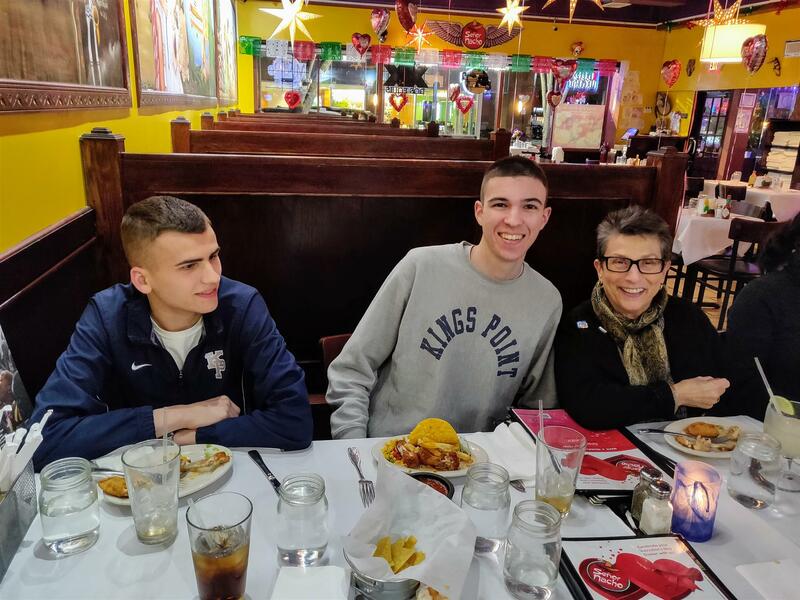 We were joined by plebes from the Merchant Marine Academy in Kings Point, who are in the process of forming the first ever Rotaract Club at the academy, with sponsorship from our club. 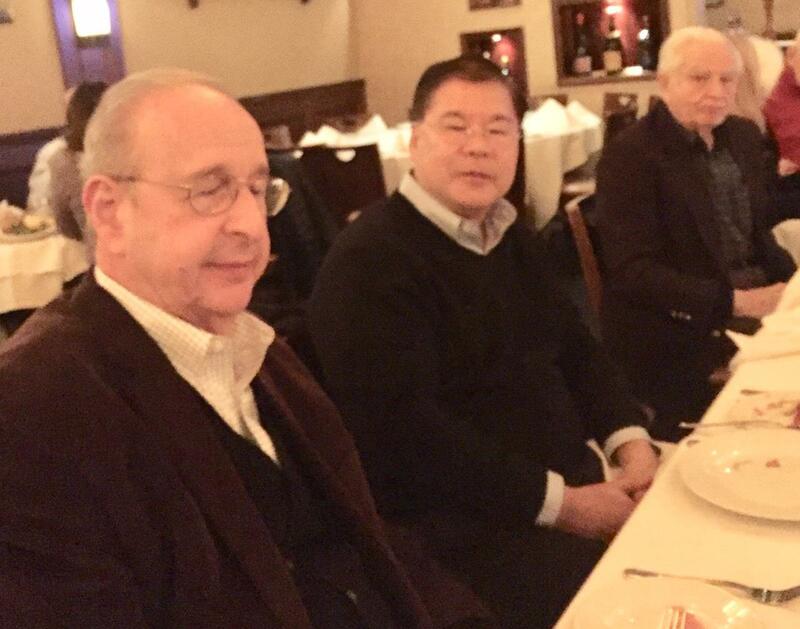 Every 2nd Wednesday of the month, we skip our regular morning meetings and instead get together for dinner at a local restaurant, supporting our local businesses. Our Information Technology Chairman, Amaury Rodriguez, visited Rotary clubs in Santiago, Dominican Republic, during a leisure trip to his native country. The Rotary Club Santiago Apóstol and Rotary Club Santiago Monumental welcomed Amaury with open arms, shared experiences and fellowship. This was also an opportunity to make important connections for potential future partnerships on international service projects. Amaury has a special connection to the Santiago Apóstol Club, having been sponsored by them as an exchange student back in 2001. Both Santiago Apóstol and Santiago Monumental clubs have a long history of service to their local communities. 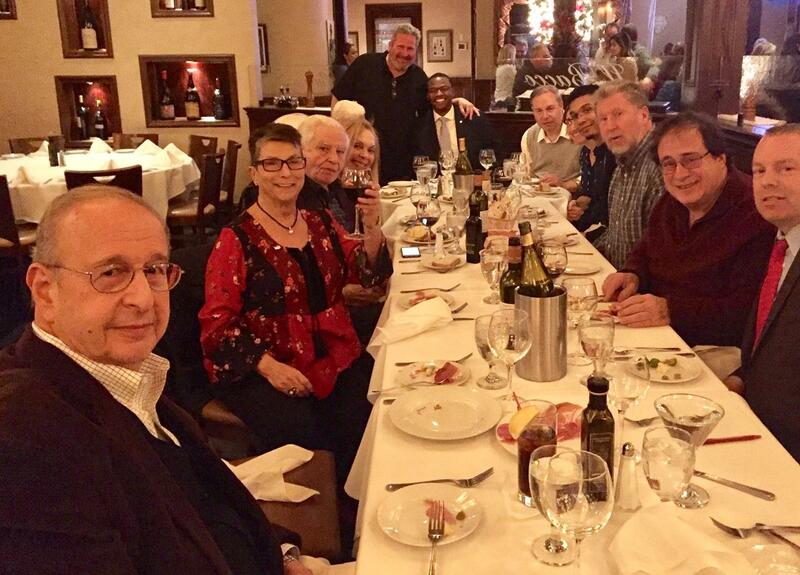 The Rotary Club of Great Neck was joined by friends and family at Il Bacco Restaurant in Little Neck, New York, for our last club dinner of the year. 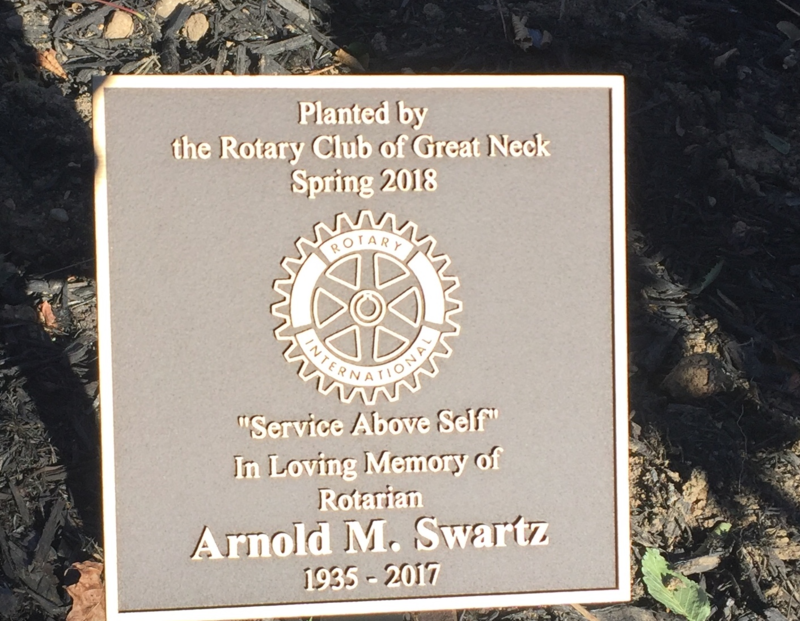 On Friday November 23, 2018, the Rotary Club of Great Neck dedicated a tree in memory of late Rotarian Arnold M. Swartz, in the presence of his family.